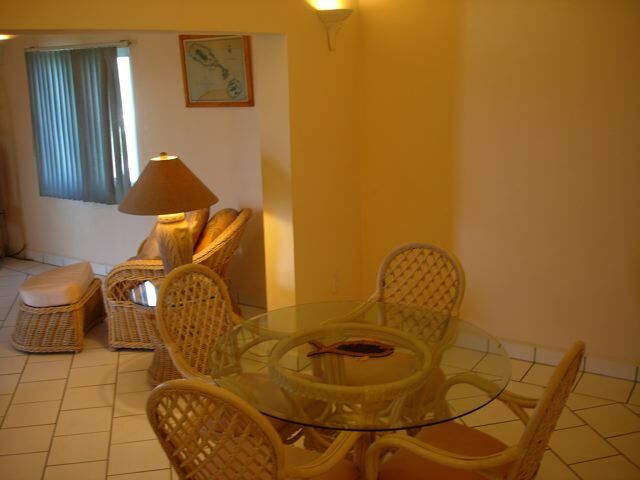 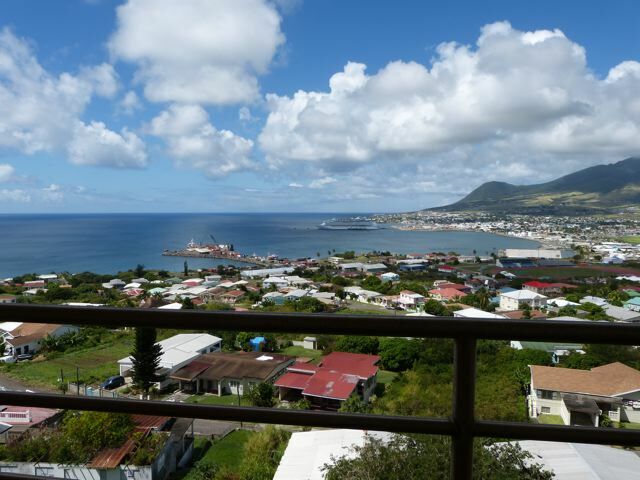 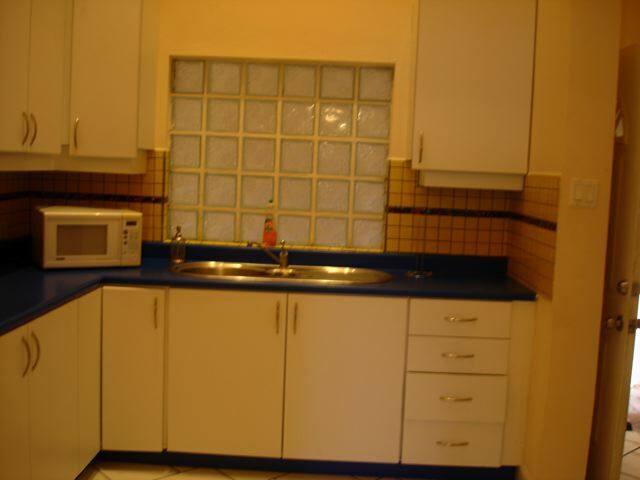 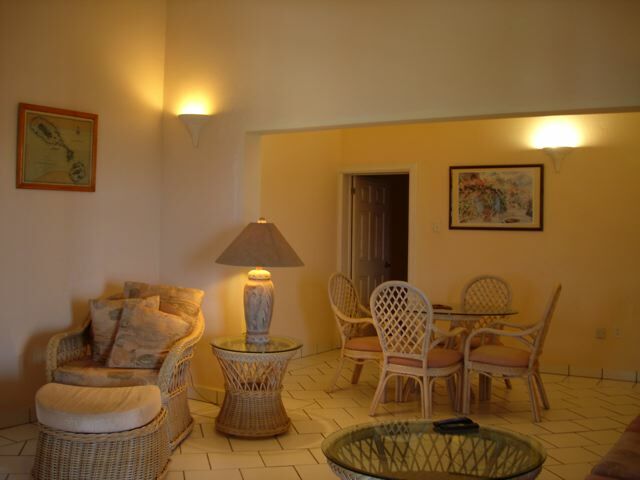 This spacious apartment with off road parking, is situation in Bird Rock with sweeping views of Basseterre. 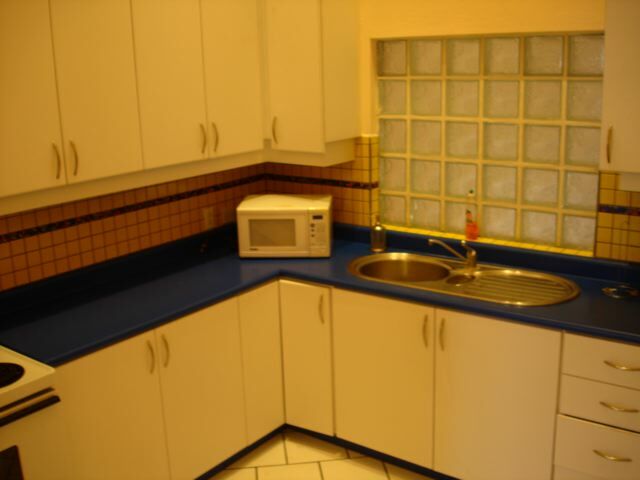 A well equipped kitchen, separate laundry and office space are complimented by the open plan dining and living room. 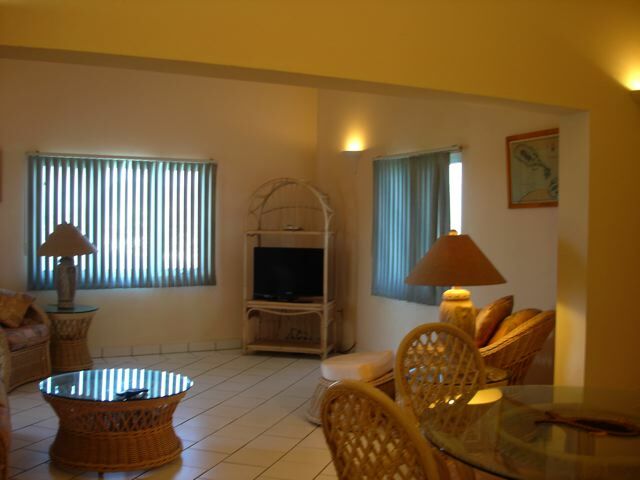 Windows allow for natural light and air flow and the veranda is accessed via sliding doors from the bedroom and french door off the living room. 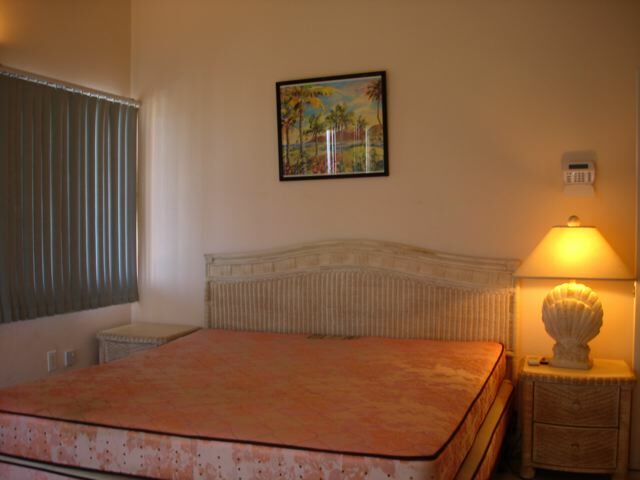 The large bedroom with kingsize bed is air conditioned and has adequate storage. 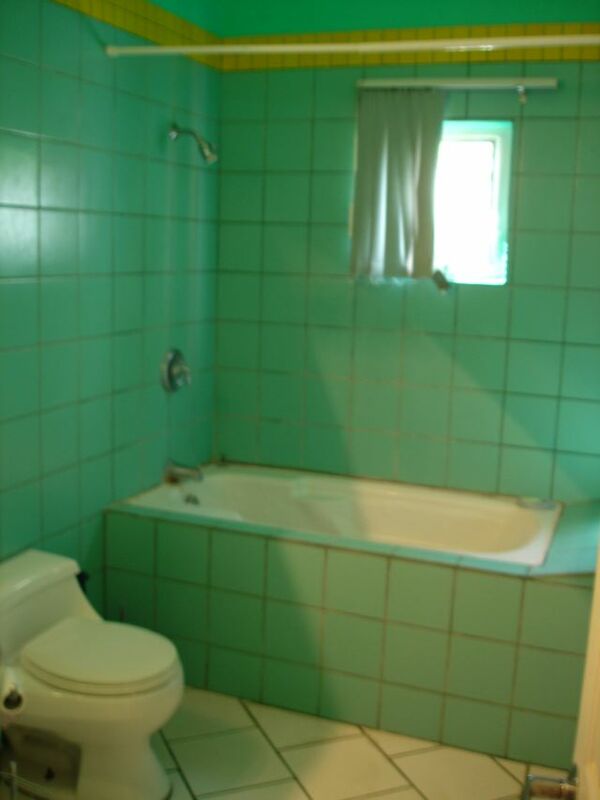 The bathroom has both a tub and shower.